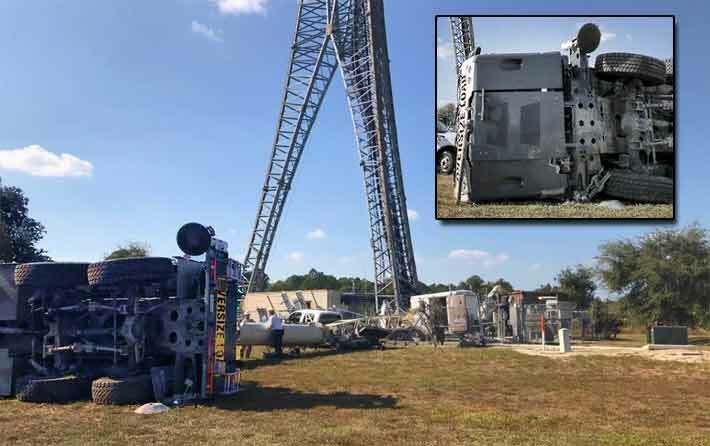 Although a Saint James City, Fla. wireless contractor lost a crew cab and utility trailer yesterday, and a Pompano Beach, Fla. crane company suffered considerable damage to their 120-ton crane when it crashed to the ground in North Port, Fla., thankfully no injuries were reported in an incident that could have easily resulted in being the most horrific multiple fatality accident in many years. 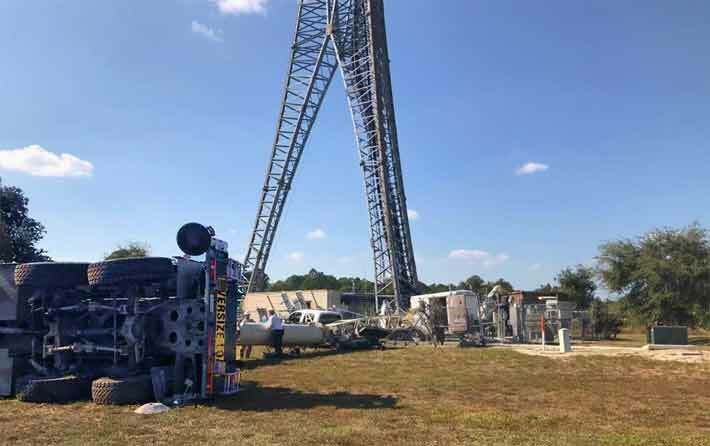 Crew members of Dynamic South were uninjured when a crane came inches away from knocking down a 350-foot tower when it collapsed. 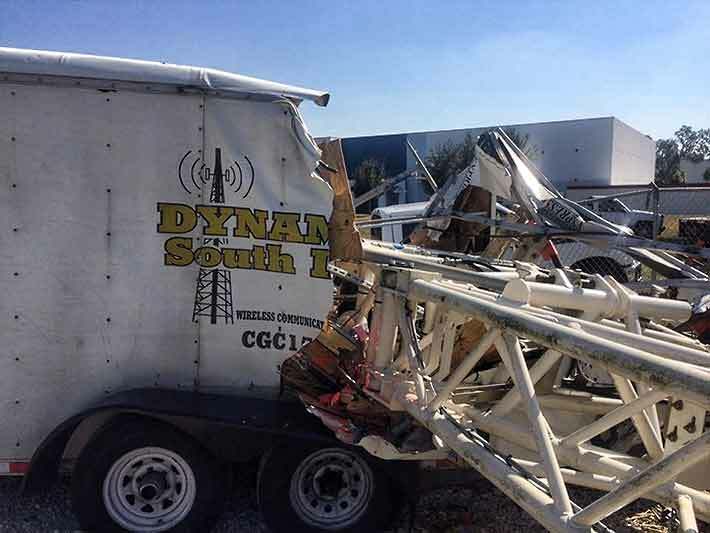 When crew members of Dynamic South, Inc. were working on a 350-foot self-supporting SBA Communications tower site providing upgrade services for AT&T at about the 190-foot level, the Allegiance crane, according to police, collapsed at about 1 p.m., narrowly missing workers. Had the crane’s boom not missed hitting a tower leg by a couple of feet, the entire structure would have most likely collapsed. 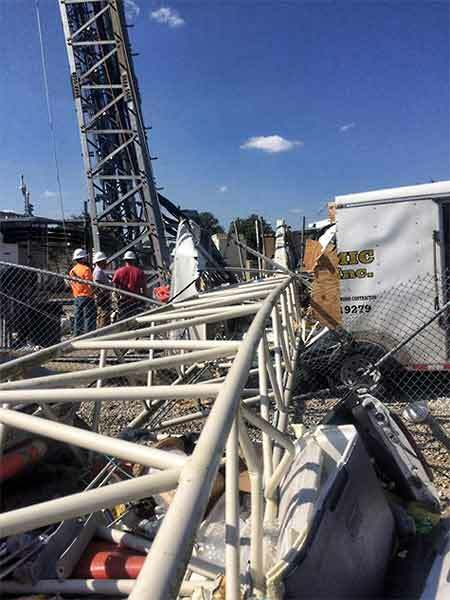 It is not known whether techs were on the structure at the time when the crane overturned. A dressed sector mount is shown in a photo, below. The Landmark manufactured tower was built in 2000 when the entire area was undeveloped acreage, but had the tower fallen it could have hit the nearby Patriot Self Storage complex or the Toledo Blade Animal Clinic. 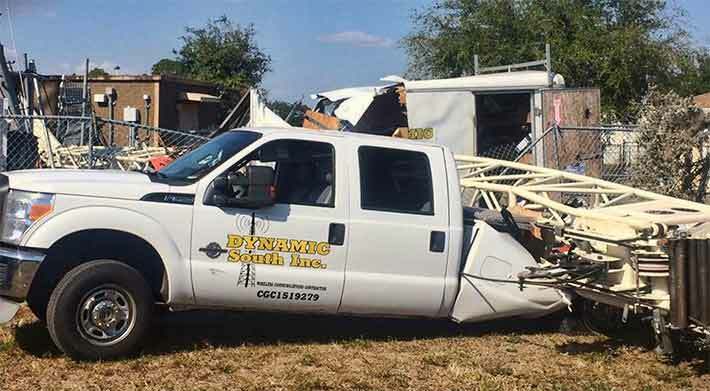 A spokesperson for Dynamic South informed Wireless Estimator that the collapse is under investigation and they could not discuss the accident, and would not identify what contractor they were working for. 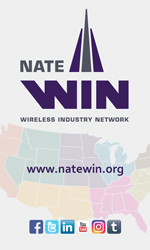 MasTec is AT&T’s turfing vendor for the Florida market. 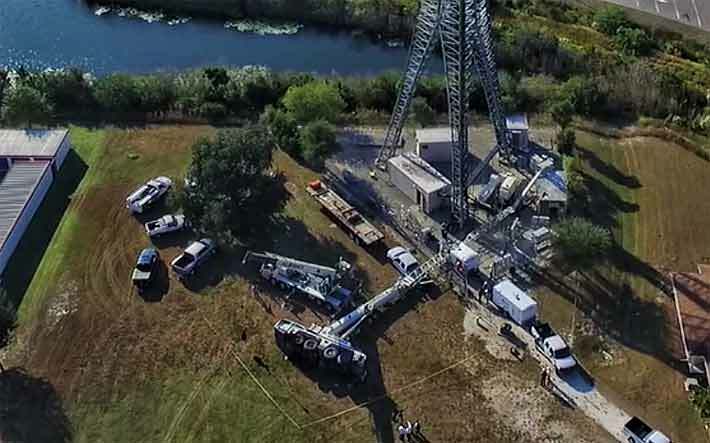 According to police-provided photographs, the crane’s outriggers do not look like they are extended, and no matting was visible in the open field. Oftentimes, crane companies require contractors to sign an agreement that includes an indemnity clause where the contractor assumes all responsibility. In addition, the agreement might identify that it is the responsibility of the contractor to inspect and investigate ground conditions. 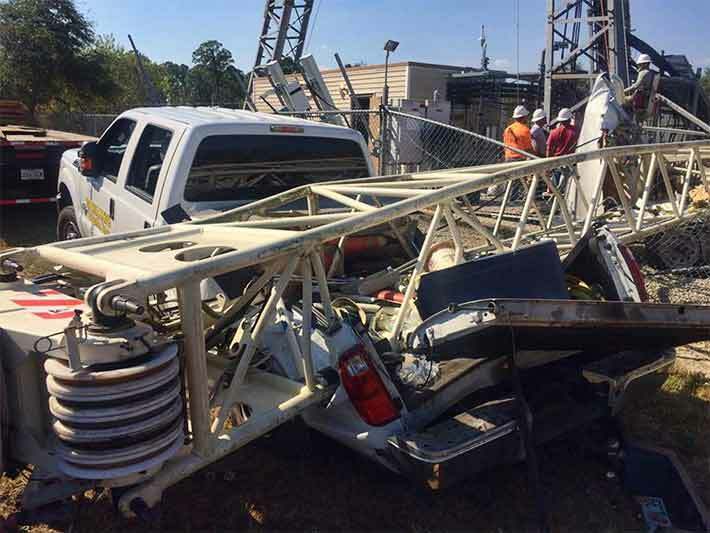 It is not known if carrier services were disrupted following the accident, but it appears that there was damage to transmission lines. The North Port Fire Department and Police Department responded to the scene and are currently investigating the incident.